Join local game designer Jason Gough as he demos Zombie Sheep, a new game from Casual Dragon Games. Zombie Sheep is a card game in which each player represents a specialized group, each with specific reasons for trying to capture Zombie Sheep. The player’s goal is to catch these unique specimens before the other players do. Art includes parody/homage elements of favorite undead-related characters. 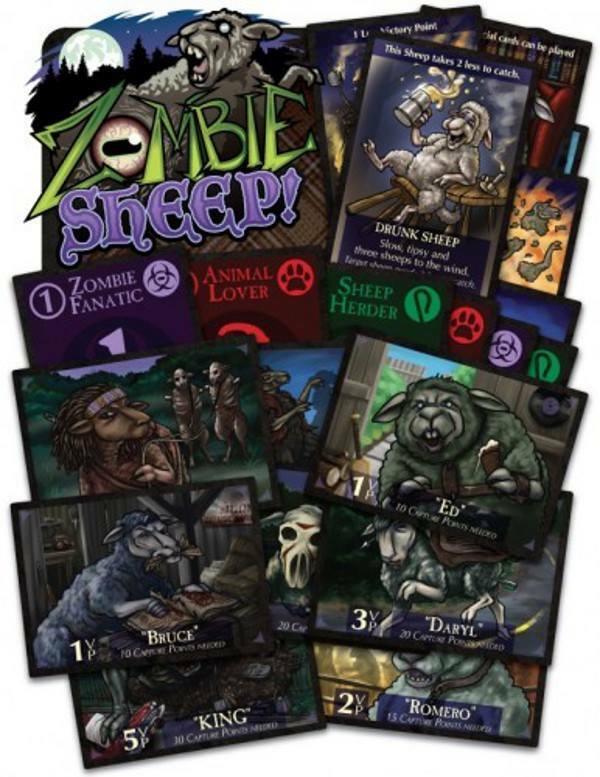 Learn more about Zombie Sheep on it’s original Kickstarter page, and come by to learn to play! Next Revised Board Game Game Highlight: Flick ‘Em Up!